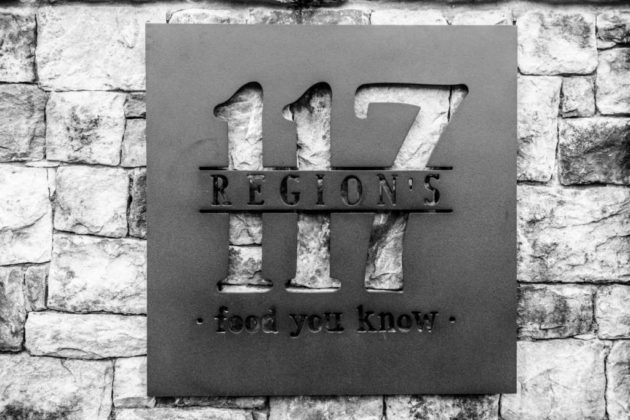 Northern Virginia restaurant Region’s 117 welcomes Brian Whitson. The hottest farm-to-table restaurant, nestled in the Shenandoah Valley at Trilogy at Lake Frederick, just 90 minutes outside of Washington, D.C., announced this week that it has promoted kitchen manager Brian Whitson to executive chef, replacing Scott Bilstad. “I’ve loved watching Region’s 117 grow since its inception as a member of the kitchen staff,” he said. “To be given the opportunity to lead the restaurant as it moves into its next phase is a great honor.” Whitson, who has lived in Winchester since 1998, joined the Region’s team in July of 2016, not long after it opened, playing key roles on the culinary and event management teams. He has previously held culinary roles in catering and worked as executive chef at Old Town Grill and Battletown Inn and executive sushi chef at Chinatown Restaurant. Located on-site at Trilogy at Lake Frederick, an exclusive 55-plus resort-caliber community, the restaurant has views of the picturesque 117-acre Lake Frederick and the surrounding Shenandoah Valley. Region’s offers a wide selection of white and red wines from wineries throughout Northern Virginia ranging from Front Royal to Charlottesville. It also uses fresh fruits, vegetables and meats sourced from area farms such as aged prosciutto, baby arugula, heirloom tomatoes and buttermilk cream. The 36,000 square-foot Shenandoah Lodge where Region’s 117 is located and the onsite athletic club were designed to mainly serve as the social and activity hub for the 55-plus community, bringing residents together with fine food and wine from the greater Virginia region, something both members and restaurant guests enjoy. Free Egg Hunt and Easter Festival, April 21 at 10:15 A.M.